Mileham post windmill stood on Mileham or Beeston Common and was actually nearer to Litcham than Mileham. The mill buck stood over a roundhouse and used 2 pairs of French burr stones, a flour mill and a jumper. A horse mill and bake office were also run on the site. 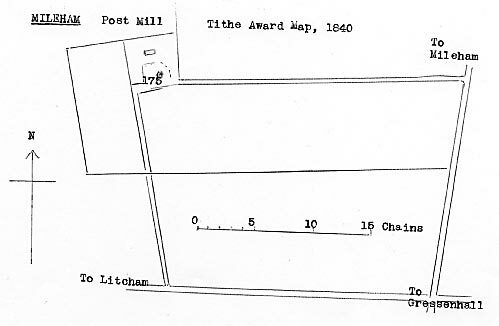 An Estate in Mileham, Norfolk, consisting of a Messuage, Windmill, Stable and other Outhouses and about an Acre of Land, now in the Use of Fuller Pearson at £17 a year, all Freehold ... Further Particulars may be had of Mr. Robert Pope or Mr. Thomas Smyth, Attorney at Dereham. All persons indebted to John Beeston of Mileham, Plumber and Glazier are desired to pay their Debts within one Month to the said Mr. Pope, who has authority to receive and discharge the same. A Capital POST CORN WINDMILL with roundhouse, two pair of French stones, Flour Mill, Horse Mill and chamber over, with every requisite machinery and a convenient Dwelling house and suitable Outbuildings and about two acres of good Land. The above Premises are most desirably situated for Trade at Mileham in the county of Norfolk within one mile of the town of Litcham and eight from each of the market towns of Dereham, Swaffham and Fakenham. The Mill Machinery and Buildings are in a compleat state of repair and the whole is Freehold and in the occupation of Wm. Kendall. For further particulars apply (if by letter to be post paid) to Mr. Henry Hillen of Beeston next Mileham (the proprietor) or to Mr. Palmer, Solr. Dereham. A Capital POST CORN WINDMILL with Roundhouse, two pairs of French stones, Flour mill, Horse mill and chamber over with every requisite machinery and convenient Dwelling House with suitable Out buildings and about two acres of good land. The above premises are most desirably situated for Trade at Mileham in the County of Norfolk within one mile of the town of Litcham and eight from each of the market towns of Dereham, Swaffham and Fakenham. The Mill, Machinery and Buildings are in a compleat state of repair - the whole are freehold and in the occupation of William Kendall. For further particulars apply (if by letter to be post paid) to Mr. Henry Hillen of Beestone next Mileham, the proprietor or to Mr. Palmer, Solicitor. A Good substantial POST WIND-MILL in good repair with two pair of French Stones, Flour Mill etc. 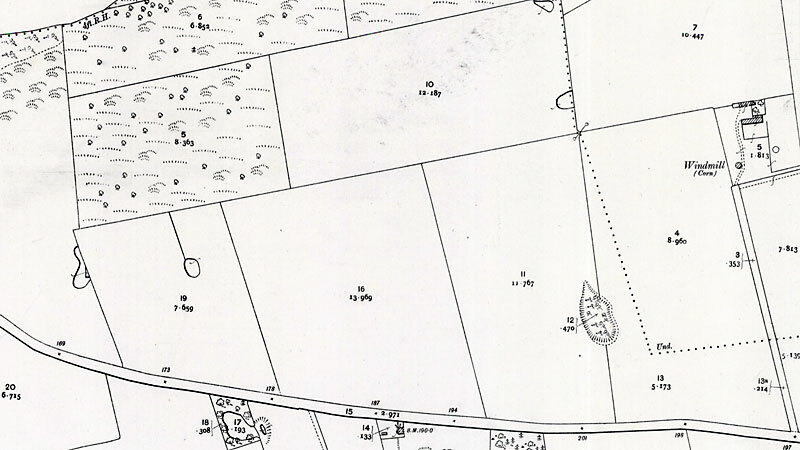 with a good Round House; and also a capital brick and tiled Dwelling House with Baking office adjoining with stable and other conveniences, with about 2 acres of good Land, more or less, all Freehold, situated in the parish of Mileham in the county of Norfolk. Enquire of Mr. Henry Hilling, the Proprietor on the premises. Possession may be had immediately if required. A Capital POST CORN WIND-MILL with Round House, two pair of French Stones, Flour Mill, Horse Mill and every requisite Machinery, a convenient Dwelling House, Baking Office adjoining the same and suitable Outbuildings and about two acres of good Land. All Freehold. Apply to Mr. Henry Hilling, the Proprietor. All that capital CORN WIND-MILL in Mileham in Norfolk late in the occupation of Mr. Henry Hellen together with a convenient Messuage, Baking Office, Mill-House, Stable and convenient Outbuildings and two acres of Land (by estimation) surrounding the same. Apply personally or by letter to Mr. Samuel Bunn of Beeston,. Mr. Matthew Blyth of Lyng or Mr. S. King, Solr. Lytcham, Norfolk. By William Chambers On Wednesday 18 August 1824 At the Bull in Litcham, Norfolk, Between the hours of 3 and 5 o'c. All the excellent CORN WIND-MILL situate in Mileham, Norfolk, late in the occupation of Mr. Henry Hillen. And also all that convenient Messuage or Dwelling house in Mileham aforesaid with a capital baking office and oven adjoining thereto, together with a mill-house with a capital horse-mill therein, stable and convenient outhouses belonging thereto and 2 acres of land (more or less) surrounding the said Mill and Buildings. All the above Premises are Freehold and are subject only to small annual outgoing of One pound for Land tax. Immediate Possession may be had of all the above Premises. And for further particulars apply personally or by letter post paid to Mr. Samuel Bunn of Beeston, Mr. Matthew Blyth of Lyng or to Mr. Samuel King, Solr. Litcham, Norfolk. A Capital POST WINDMILL driving two pair of French Stones with Flour Mill, Jumper and all requisite Machinery and Going Gears compleat and in excellent condition; also a convenient and substantially built Dwelling House with Stable, Mill house and other requisite Outbuildings and Yard, Garden and small Inclosures of Arable and Pasture Land adjoining containing altogether 2 Acres (more or less) now in the occupation of Mr. John Moore whose lease will expire on Old Lady day 1837. The above Property is situated on the Warren commonly called Beeston Warren in the said parish of Mileham, near the large and populous Town of Litcham and within about seven miles of East Dereham and nine of Swaffham, two excellent Market Towns. The situation is an advantageous one for trade as an extensive business has been carried on for many years. Part of the Purchase Money may remain on the Estate if required. Apply to Mr. John Burton, Grocer and Draper, Litcham aforesaid or to the Auctioneer, East Dereham, if by letter, post paid. In 1853 Reuben Tilney moved to Mileham postmill and towermill when William Critoph bought Yaxham_smockmill where Reuben Tilney was miller. William Critoph was one of the executors to Reuben Tilney's will when he died in 1877. 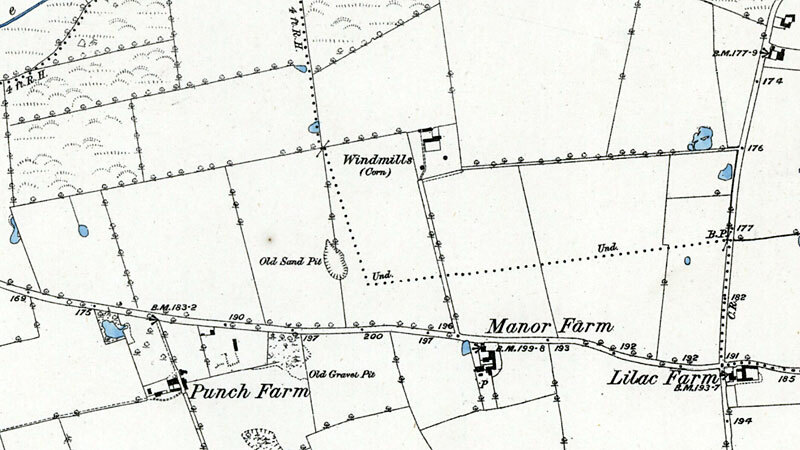 In the summer of 1859, millwrights Smithdales were recorded as working on a windmill at Mileham, Norfolk. A POST WINDMILL driving two pairs of stones. Also a well built brick, stone and tile Dwelling House adjoining, with Bake Office, good Stables and Outbuildings and Garden and about 2 acres of fine PASTURE LAND. The above property (except the Post Windmill) is all Freehold and is now in the occupation of Mr. Benjamin Stringer, the proprietor.